Don't break the bank. And don't pass up this offer. 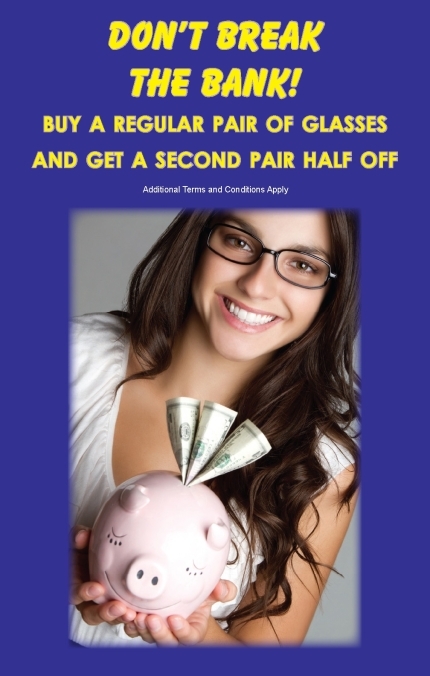 Buy a complete pair of glasses and get 50% off a second pair.